The Polish powerhouse comes into a new season with a new roster built on a core of Polish players. Prokom rebuilt its perimeter with veteran point guard Lukasz Koszarek, who will make his Turkish Airlines Euroleague debut, and swingman Frank Robinson. Prokom added depth with promising rookie playmaker Tomasz Snieg and a pair of guards who spent the summer with the Polish national team - Mateusz Ponitka and Piotr Pamula. The Polish champions also addressed their rebounding woes from last season with rookie forward Drew Viney and center Julian Khazzouh. 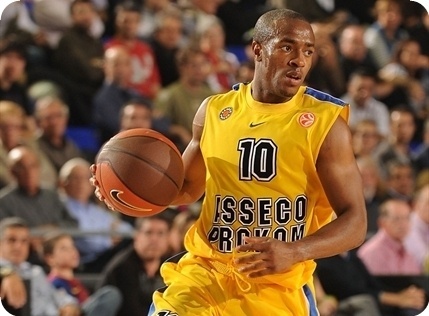 Prokom's depth in the backcourt starts with pass-first playmaker Jerel Blassingame and continues with the experience and shooting range of Koszarek. Teenager Ponitka promises to develop into a true scorer, while swingman Robinson presents a three-point threat and an aggressive defensive presence. Both of them should profit from Blessingame's ability to create for his teammates, and the same is expected of young talent Pamula, while pass-first Snieg offers an ideal option at point guard behind Blassingame. Khazzouh has been a star in his native Australia and now aims to bring his low-post game, rebounding and shot-blocking skills to lift Prokom's frontline, which was last in two-pointers scored last season. He will get help from center Adam Hrycaniuk, a very aggressive team player and now Prokom’s senior member, who is coming off his best season. Added to the mix is the intensity of Piotr Szczotka, rebounding of Viney and the return of forward Robert Witka, who should provide Prokom with more defense. Prokom added youth, size inside and three-point shooting on the perimeter to help improve in putting up points after ranking second-last in scoring team in the Euroleague last season. Head coach Kestutis Kemzura looks to keep his young squad motivated and sharp knowing that the talent is on the roster to challenge Europe’s best. Though there may be a learning curve, the perennial Polish champions have the home-court advantage and the pieces on the floor to extend their Euroleague season past the new year. Blessed with unbelievable quickness, Blassingame knows how to get to the rim and does not shy away from hitting clutch shots. But it will be Belssingame's leadership, ability to protect the ball and to set up his teammates to establish scoring options both inside and outside that will serve this Prokom team the best. With Blassingame at his best, Prokom’s potential grows exponentially.